Payments for ecosystem services programs involve evaluating the monetary value to society of natural “services,” such as clean water, biodiversity, or reduced atmospheric carbon, and then compensating people who manage land that provides these services. The concept has been around for about a century, but took off around the globe about fifteen years ago. Both the philosophy behind attaching an economic value to a natural process and its practical application have proved to be controversial, complicated, and difficult. As the turn of the twentieth century loomed, a horrific drought swept through China. Nearly 700 kilometers of the Huang He, or Yellow River, the second longest in the country, ran dry for almost two-thirds of the year. If that wasn’t bad enough, the next year, 1998, a deluge of rain led to massive flooding along the Yangtze River. The city of Qinzhou got almost 70 inches of rain in a two-month span — 30 inches more than normal. The resulting floods touched off landslides that swallowed the homes of 12 million people and killed thousands of others. The disasters, with price tags in the tens of billions of dollars, left the government, scientists, and insurance companies with important questions. For instance, why would the banks of the Yangtze melt away now, when they’d withstood the annual torrents of monsoonal rainfall for millennia? The answer, they discovered, lay in how we humans had altered the landscape. When we strip sloping land of trees for timber and farmland, earth that once held firm succumbs to the combined effects of surging water and gravity with disastrous consequences. So the Chinese government decided to tackle the problem in a big way with a scheme to pay landholders to green hillsides and deforested areas that has since grown beyond the shores of the Yellow and Yangtze Rivers to encompass almost half the country. In exchange for converting land to forests or grasslands and halting the diversion of water for rice farming, participants in the program received an annual allotment of grain, seedlings to plant, and cash. In the first ten years of these programs, $100 billion wound up in 120 million Chinese homes, aimed at kick starting their forays into new livelihoods. 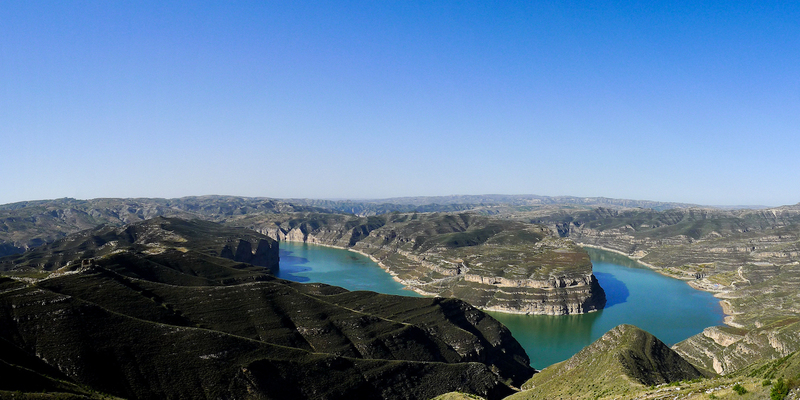 The Yellow River in Shanxi, China. Photo by Charlie Qiu. The concept of payments for ecosystem services, or PES, as such programs are known, seems straightforward enough. We all benefit from cleaner water or less carbon in our atmosphere. It makes sense then to compensate the people managing the land that provides these benefits and to help them change their practices if that’s necessary to preserve these ecosystem services. But in the fifteen years since these programs have taken off across the globe, both the philosophy behind attaching an economic value to a natural process and its practical application have proved to be controversial, complicated, and difficult. While hard numbers are elusive, observers agree that some PES projects have clearly succeeded while others have sputtered. Still others have achieved their environmental goals while letting down the people whose livelihoods they affected. As PES matures and more projects roll out, practitioners are grappling with how to make them work more consistently. “Where we are now is in the struggle of trying to understand what the ingredients of success are,” Gretchen Daily, a biologist at Stanford University, told Mongabay. The idea of pinning a value on ecosystem services actually isn’t new, dating back perhaps a century or more. In fact, a paper published last month in the journal BioScience chronicles the rise — and subsequent decline — of “economic ornithology” beginning the nineteenth century. The field sought to quantify birds’ dollars-and-cents value to humanity in performing such valuable services as controlling agricultural pests and pollinating flowers, not to mention spreading around nutrients and cleaning up carrion. But around the year 2000, Daily described a “broad awakening” to the value that nature provides. Since then, she said “thousands” of PES projects in many countries have sprung up, most fitting into one of three categories: watersheds (like the Chinese example), biodiversity conservation, and climate-change mitigation. For instance, REDD+, short for Reducing Emissions from Deforestation and Forest Degradation, is perhaps the best known and most hotly contested PES program. Although it has yet to be implemented, REDD+ received strong support at the landmark Paris Accord signed at the December UN Climate Summit. These agreements typically entail rich countries funding economic development in poorer countries, which in turn agree to preserve their forests and the carbon they hold. 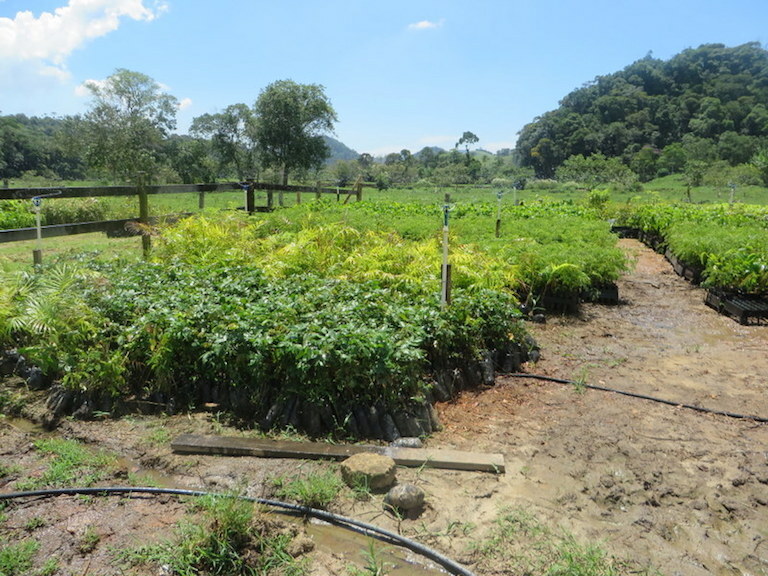 A nursery in Guandu, Brazil, where native trees are grown to restore riparian forest in areas critical for Rio de Janeiro’s water supply. Landowners participating in the Guandu Water Producer Project receive payments for the area they enroll for protection or restoration. Photo by the Natural Capital Project/Leah Bremer. In 2006 Daily cofounded the Natural Capital Project based at Stanford, which aims to guide the use of “nature-based solutions” to solve problems around the world, including the development of PES projects. The term natural capital refers to the natural “assets” that provide humans with the ecosystem services on which we rely. But if the model once appeared to be a singular answer to many conservation questions, its mixed results on the ground, as well as further experimentation by governments and researchers, have made it clear that PES is far from a one-size-fits-all solution, Daily said. For instance, China’s PES programs — the world’s biggest, by far ­— have by certain measures been successful. No country in the world has a higher reforestation rate, and erosion is down by 70 percent in some spots. What’s more, the country has helped stabilize its source of fresh water for drinking and to turn its hydropower turbines, which provide about a quarter of its power. On the other hand, scientists have questioned China’s use of non-native trees and creation of monoculture plantations in its PES-driven afforestation. One study’s authors argue that a lack of accounting for local context has led to a greening campaign that could actually make things worse in the long run. China has reportedly pivoted toward native species following these revelations, and continues to invest billions of dollars in PES programs, broadening them to address not only water and soil issues, but biodiversity conservation as well. With its early adoption and the initial reported successes of PES, China has served as a model for other countries eager to address their own environmental challenges. But just because PES works in certain ways in one place doesn’t mean it will work somewhere else. “Many countries are trying to replicate what China is doing,” Daily said. But plugging PES projects into different cultural, geographic, and economic contexts has proven difficult. Early on, what made the PES model seem replicable was its relationship with market economics. The thought was that the laws of supply and demand would sort out the appropriate price for a service. In practice, the application of PES has included the use of market economics to determine a fair price for the ecosystem services in formal Wall Street-type exchanges, where services go to the highest bidder. For example, in the EU’s Emissions Trading System, which as a mandatory continent-wide initiative may be the most advanced and ambitious real-world application of market economics to PES, if a manufacturing company wants to continue releasing carbon into the atmosphere, it can buy credits from a carbon market. With a finite supply of carbon credits available to limit global emissions, the company has two options. It can pay the market rate, thereby subsidizing the preservation of forest. Or, it can find ways to emit less carbon, perhaps by changing its manufacturing process. Often, as envisaged by REDD+, the flow of money is from richer countries to poorer ones in market-based PES schemes. And ideally, the funds would be enough to provide people with the option of choosing a more sustainable livelihood than, say, agriculture requiring expansion into the forest. The reality of PES has turned out to be quite a bit more complicated. Some trading schemes languish as underutilized voluntary, rather than mandatory, initiatives. Higher costs for services don’t always correlate with the ones we benefit from the most. And some services — the fertilizing dust from the Sahara crossing the Atlantic, for example — don’t lend themselves to market management. “A lot of people had misplaced hopes that market mechanisms would let this scale more quickly than it has,” Daily said. It has become clear to many economists and biologists that markets probably aren’t the best tool for conservation, in part because the whims of the market leave important environmental services vulnerable in tough times. Take carbon prices on the voluntary Chicago Climate Exchange during the 2008 financial crisis, said Nicolas Kosoy, an ecological economist at McGill University in Montreal. From an annual peak of more than $7 a metric ton in June 2008, the Chicago carbon market bottomed out at around $1 per metric ton in October of that year, when the first shockwaves of the downturn were rattling Wall Street. Furthermore, making the case that an ecological service makes the most economic sense is a dangerous road to go down, said Douglas McCauley, an ecologist at the University of California, Santa Barbara. 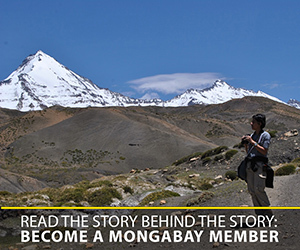 To illustrate his point, he employed an oft-cited PES success story in an interview with Mongabay. In the 1990s, it looked like New York City was going to have to pony up a huge sum of money to build a new water filtration plant. Development was booming in the Catskill Mountains, which served as a natural filter and the source of most of New York’s drinking water. Instead of the plant, the city opted to restore upstream ecosystems in the Catskills and paid landholders to adopt more ecologically sound forest management and farming tactics. The investment turned out to be a bargain at $1.5 billion, compared to the $6-billion price tag for the filtration plant, not to mention the $500 million a year it would have taken to run it. It seems like a win-win: New Yorkers kept their clean drinking water source, and the beauty of the Catskills, as well as the area’s tourism industry and wildlife habitat, remained intact. But what if someone engineered a cheaper solution? “If you’ve sold the decision makers on the idea of acting in an economically rational way, then you don’t really have a leg to stand on when it comes to thinking about the future of the conservation of the section of nature like the Catskills,” McCauley said, adding that human ingenuity can rarely be kept down. Furthermore, tying ecosystem services to market-based payments can’t possibly capture all of the values, known and unknown, that we derive from the natural world, he said. And trying to quantify something like nature’s intrinsic value strikes him and many others as wrong-headed. Critics in that vein often characterize PES as “putting a price on nature”— a portrayal that proponents counter is not accurate. “One of the common misconceptions about valuing ecosystem services is that once you’ve placed a monetary value on these services, you’re presuming that you’re commodifying them, you’re privatizing them, you’re talking about exchanging them in markets, et cetera, et cetera… which I think completely misses the point,” Robert Costanza, an ecological economist at Australian National University, told Mongabay. He and his colleagues conducted an assessment of the services we got from the world’s ecosystems in 1997, which they figured were worth an average of at least $33 trillion a year ($51.5 trillion in 2015 dollars). A 2014 update put the number at $166 trillion (in 2015 dollars) — more than twice the global gross domestic product. “The point is to recognize how relatively valuable they are,” Costanza said. With those figures in hand, he said, individuals, communities, and governments have a framework to make decisions about issues such as conservation and economic development. And they can craft sensible payment schemes to manage and conserve ecosystem services as public assets that are vitally important to all of society, rather than consider privatizing them as the most economically beneficial option. The idea of ecosystem services as a public trust highlights two of the major challenges that PES proponents acknowledge: leadership and what researchers refer to as “willingness to pay” — basically, an interest in conserving a natural service or resource for the greater good on the part of an institution with pockets deep enough to pay for it. In the case of China’s PES initiatives, it appears that the government has recognized the importance of conservation, and they’ve backed up their efforts with continued financing. Other countries can look to successful PES projects with top-level leadership there and in Costa Rica, but research has shown that ensuring that communities have a voice in designing projects is also imperative. “In my experience those payments for ecosystems services that are working in the long run require a very strong bottom-up approach in order to function and in order to become legitimate,” Nicolas Kosoy said. Kosoy and his colleagues recently published a paper in the journal Ecological Economics that looked at how we define success for a PES project. In addition to the conservation goals and fairness of payments, they argued, people involved in the projects should also have a choice in what they end up doing with their lives as a result of the projects. That “justice” element is only possible when the people affected have a say in designing the project. Even as the conservation benefits of PES projects materialize, it has proven trickier to encourage poverty reduction and economic development. In a 2013 review of Costa Rica’s nationwide PES scheme, the first of its kind, researchers found enviable returns in reforesting a land devastated by decades of cattle ranching. By the 1980s, tree cover had dwindled to just 20 percent of the country. Now, forests cover more than half of Costa Rica, thanks in part to the enrollment of around one million hectares of forest in PES programs since the project’s inception in 1997. Even China’s massive outlay of cash for its PES schemes hasn’t been enough to address all of the social parts of the equation. In some places the money farmers received to change their way of life didn’t measure up to what they could have earned sticking with the status quo. However, the government has reportedly increased payments where those shortfalls occurred. This, plus China’s struggle to ensure the ecological value of its aforestation projects, highlight the ever-evolving nature of PES programs. Recent research leaves little doubt that the peculiarities of a landscape, the cultural and economic needs of local people, and of course the relevant conservation goals all play a role in how PES programs should be implemented and whether they succeed. A 2014 paper published in Conservation Biology demonstrates how elusive win-win scenarios can be, even on smaller scales. The research, conducted by Tom Clements from the Wildlife Conservation Society and the University of Cambridge and E.J. Milner-Gulland of Imperial College London, compared the effects of three different PES programs in Cambodia. The PES programs scored high marks for their environmental impact, slashing deforestation rates and helping protect biodiversity — in this case, species of threatened birds. But how the families involved in these PES programs fared depended on the amounts of the payments. The programs did help participants gain some financial footing, and perhaps not surprisingly, the higher-paying schemes did so more effectively. However, the poorest households didn’t seem to benefit as much as better-off households. In a project designed to encourage a switch to more productive rice-cultivation practices, well-off farmers were more likely to make the change and get paid than poorer farmers. The reason? The authors figured that more education, resources, and adults in the family to do the work all played a role. Clements and Milner-Gulland point out that scant research has tested the impacts of PES and in particular its social impacts, their study being one of the first to wrestle with that question. Figuring out how different approaches will affect various populations is an essential part of moving PES programs forward, according to Daily. “Ultimately, I think that many people in this game are convinced both at an ethical level and at a practical, pragmatic level, that we need to improve livelihoods and open livelihood options that are sustainable,” Daily said. 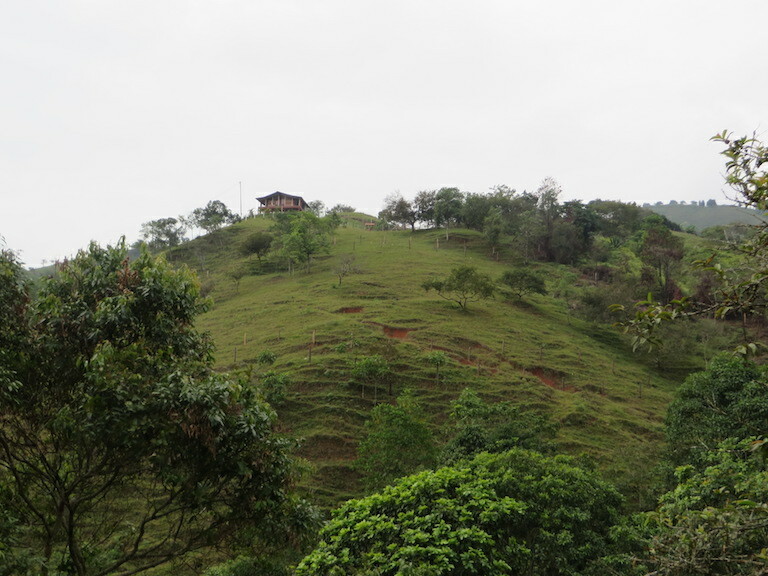 A farm in the Cauca Valley, Colombia, where the owner has planted trees as part of a watershed-wide project to improve both downstream water quality and farmers’ productivity and livelihoods. Photo by the Natural Capital Project/Leah Bremer. In the decade and a half since that “awakening,” PES and the concept of natural capital have come a long way to encompass more than just the environmental outcomes. Research has grown to tease apart the nuanced effects of these schemes not just for a specific location, but within it as well. Initiatives like the Natural Capital Project build on successful projects. A partnership between five institutions and universities, the Natural Capital Project offers a software program called InVEST that uses maps and data to determine what resources and services are worth in the context of decision-making. Much of what they offer is open source, Daily said, so that with a little training people anywhere can start trying to adapt PES successes to their own situations. The research into what works and what doesn’t has also revealed how intimately connected we all are to the services that the environment provides to us. PES projects have become a way to bring disparate parts of global society together, Daily said, as well as an instrument to tackle problems as huge and overwhelming as deforestation, climate change, and poverty. CORRECTION: A previous version of this story included a photo related to a watershed restoration project in Peru whose caption incorrectly stated that the project compensates participating landowners and communities. The project is not technically a PES project and so the photo was removed. Bennett, M.T. (2008). China’s Sloping Land Conversion Program: Institutional Innovation or Business as Usual? Ecological Economics 65(4): 699-711. Cao, S. (2011). Excessive reliance on afforestation in China’s arid and semi-arid regions: Lessons in ecological restoration. Earth-Science Reviews 104(4): 240-5. Clements, T. and Milner-Gulland E.J. (2014). Impact of payments for environmental services and protected areas on local livelihoods and forest conservation in northern Cambodia. Conservation Biology 29(1): 78-87. Costanza, R. et al. (2014). Changes in the global value of ecosystem services. Global Environmental Change 26: 152-8. Costanza, R. et al. (1997). The value of the world’s ecosystem services and natural capital. Nature 387: 253-60. Daily, G.C. and Ellison K. (2002). The New Economy of Nature: The Quest to Make Conservation Profitable. Island Press. Farley, J. and Costanza, R. (2010). Payments for ecosystem services: From local to global. Ecological Economics 69: 2060-8. Kolinjivadi , V. et al. (2015). Capabilities as justice: Analysing the acceptability of payments for ecosystem services (PES) through ‘social multi-criteria evaluation’. Ecological Economics 118: 99-113. Kronenberg, J. (2015) Betting against Human Ingenuity: The Perils of the Economic Valuation of Nature’s Services. BioScience 65: 1096-9. McCauley, D.J. Selling out on nature. Nature 443: 27-8. Porras, I. et al. (2013). Learning from 20 years of payments for ecosystem services in Costa Rica. International Institute for Environment and Development, London. Redford, K.H. and Adams, W.M. (2009). Payment for Ecosystem Services and the Challenge of Saving Nature. Conservation Biology 23(4): 785-7. Ruckelshaus, M. and Guy, M. (2015). A Technology Platform for Natural Capital Solutions. May 2015 Stockholm Summit on Natural Capital. Natural Capital Project, Stanford University, Stanford CA, USA. Xu, J. (2011). China’s new forests aren’t as green as they seem. Nature 477: 371.